It's almost Valentine's Day and it's hard to believe, right? 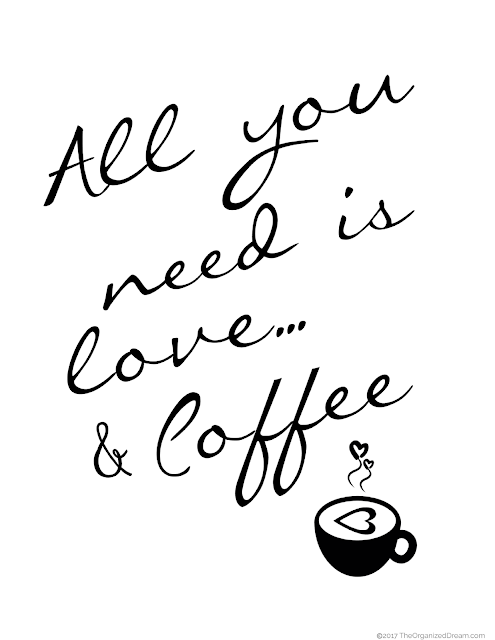 Well, if you're like me and love a free printable here and there (..oh and love coffee, too!) then you'll want to snag yourself a copy of one of these printables I have here for you today! 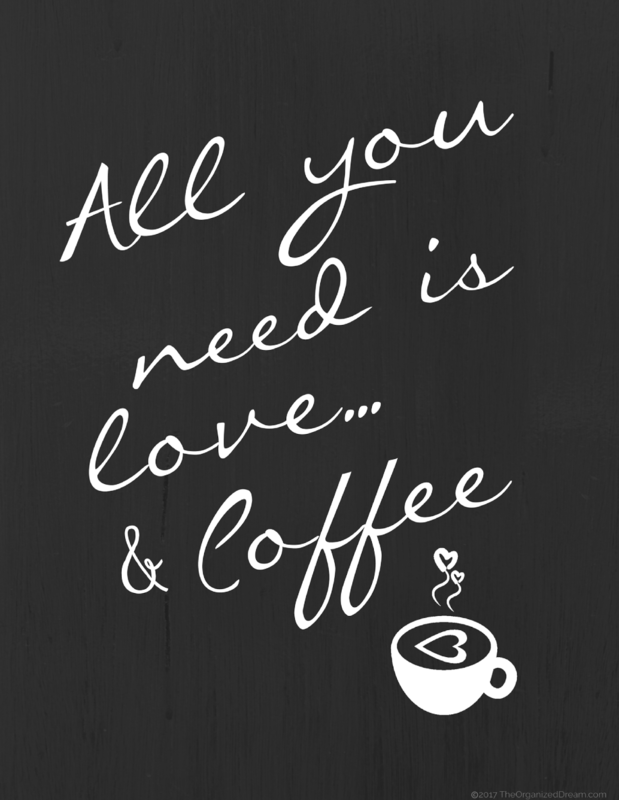 Whichever you choose, it will look great to your kitchen or coffee area just in time for Valentine's Day and something that you could even keep up all year long. There are two different printables to choose from. One is more simple with a plain white background and the other has a chalkboard background effect. You can find the links to both below to download! 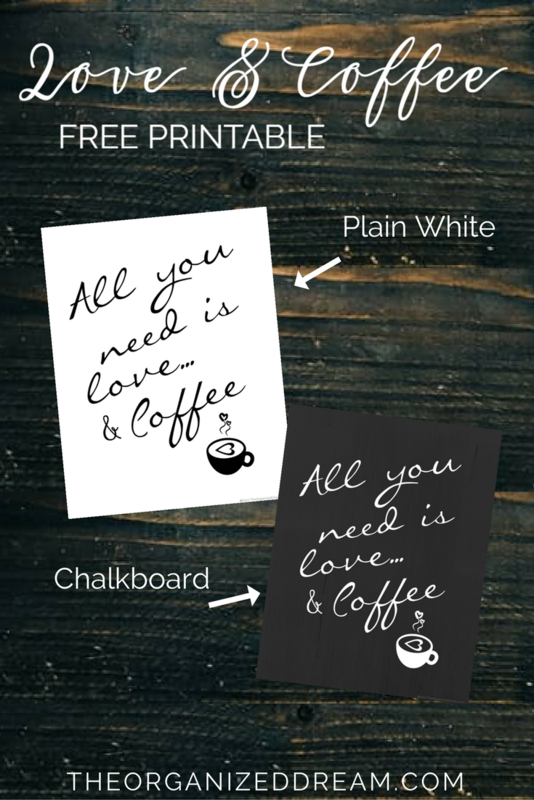 Want to resize these printables or any other printables you have? Check my video tutorial on YouTube!